Indians Have Started A Hate Campaign Against Rehman Malik For Revealing Modi's Ugly War Doctrine In His Book! 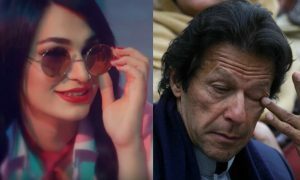 They often say that Pakistan has always been home to some of the most unliked politicians in the world, putting emphasis on these people keeping themselves before the country and the common man, for whom they are the most respected representatives. However, we have also been home to some very learned politicians, who have served this country for the longest period of their lives, doing tremendous public service. One such man is Senator Rehman Malik, somebody who has represented the green and white on all the world’s biggest stages. 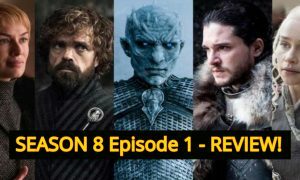 The start of 2019 has been very different for Pakistan and India, as compared to the last decade. From the beginning, both parties have remained daggers drawn at each other. After the shenanigans which started in February, Pakistan did the unthinkable when it downed an Indian MIG-21, after entering Indian airspace and targetting some faint ranges. This, which resulted in the capture of Abhinandan, an IAF pilot. Since then a lot has happened in the development and Modi’s war hysteria, with time, has finally been exposed. 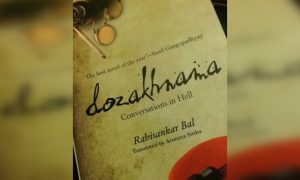 On the said issue, Senator Rehman Malik has come out with a book locking Indian Prime Minister Narendra Modi’s ugly war doctrine, of which he has been working on throughout his tenure as the Indian PM. Senator Rehman Malik, since February 27, has been very vocal about the sovereignty of Pakistan, exposing India and Modi’s lies for whatever they claim, inciting and sending both countries to war. Pakistan, under the leadership of Prime Minister Imran Khan, has been raising the banner of peace and progress in South Asia – while India has come out to do the exact opposite of it. 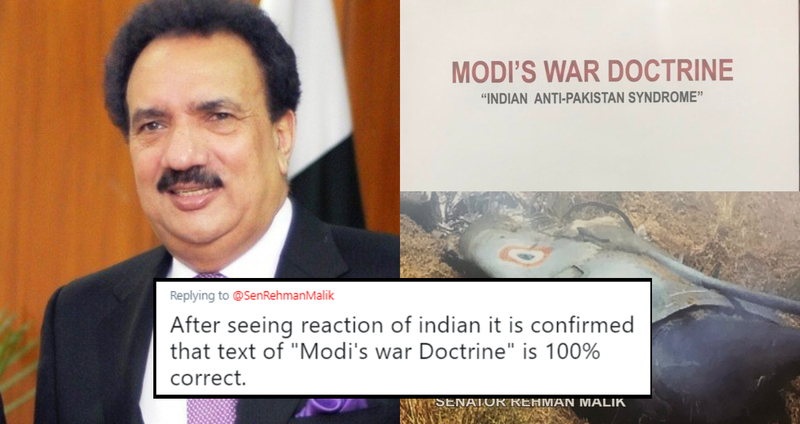 Now, Senator Rehman Malik has come out with a book, authored himself, titled ‘Modi’s War Doctrine’ which has exposed the true colors of Indian Prime Minister Modi and his BJP serenade. The book reveals how Modi has stirred and created war hysteria in South Asia between India and Pakistan, resulting in escalation of threat across the sub-continent who parted ways in 1947. Exclusive Talk of Former Interior Minister & Chairman SSC on Interior @SenRehmanMalik shares his Book details of "Modi War Doctrine "
As a result, Indian masses, brainwashed by their sensational and paid media have started a hate campaign against Senator Rehman Malik on social media, just after his book launched. The Indians have been embarrassed and estranged by Pakistan, still, they continue to follow their blind jingoistic rulers. Not just Modi’s war hysteria, but the Senator has also talked about Indian government’s agenda against Pakistan on every stage, trying to isolate Pakistan from the world stage. A cause, that has since been lost. The truth always attracts negativity, Ashish from India proved it! I appeal all indians to abuse this pig whenever seen on twitter ! And there are tonnes of other things the Indians have been saying, making the hate campaign going on continuously. 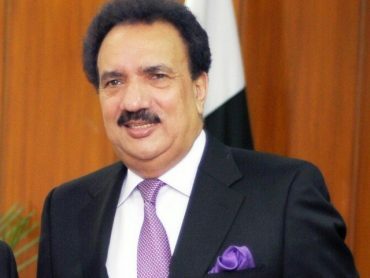 Senator Rehman Malik, being a seasoned veteran of the game, knows how to keep his calm and answer ice with fire. This is your mentality and in fact you are abusing yourself . Being a man of honor and immense expertise, Senator Rehman Malik has once again shown that no matter his affiliations to the PPP, even apart from his party, in the loyalty and memory of Shaheed Mohtarma Benazir Bhutto, he is a beacon of light in the paradigms of Pakistan. More power to you. Senator!